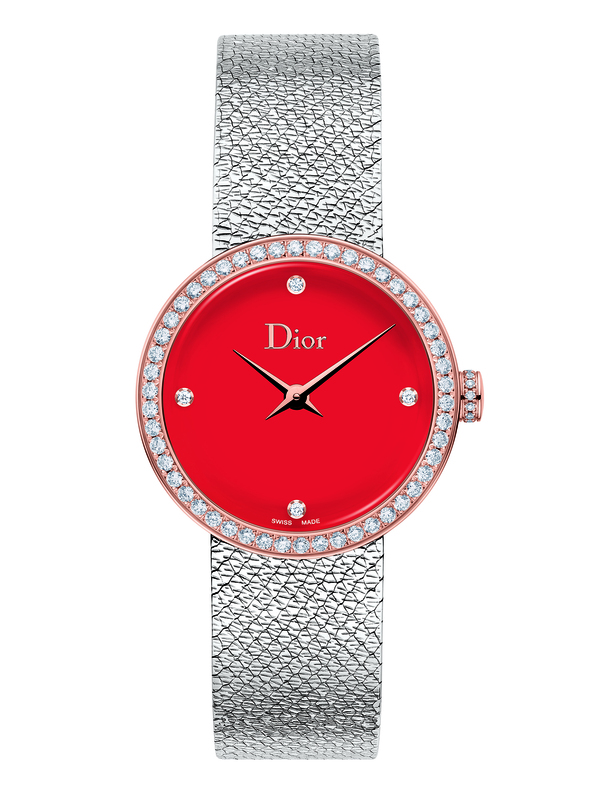 Dior Timepieces and Jewellery is using the traditional red colour associated with good luck and the Chinese New Year in a family of watches. The Chinese New Year associated with the zodiac cycle begins on February 16, but the country also celebrates on January 1 with the rest of the world. 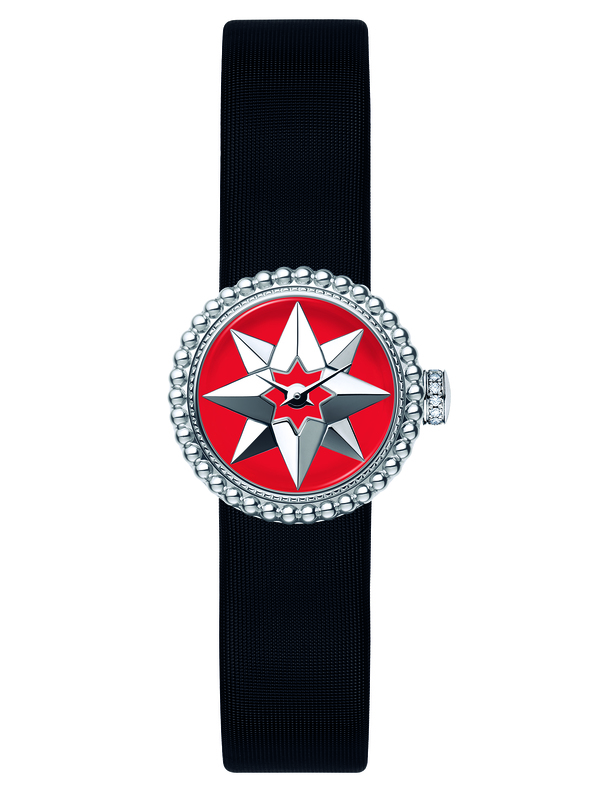 La Mini D de Dior Rose des Vents watch in steel, diamonds and red lacquer with a black satin strap, £3,500, by Dior Watches. 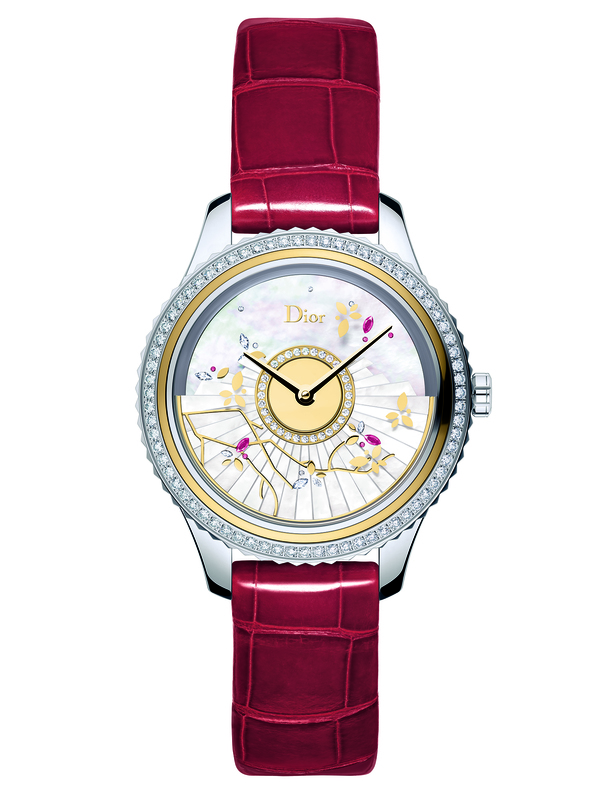 La D de Dior Satine watch in steel pink gold, diamonds and red lacquer, £6,200, by Dior Watches. Dior Grand Bal Fête du Printemps watch in steel, yellow gold, diamonds, rubies and mother-of-pearl with a shiny red alligator strap, £23,600, by Dior Watches.